CALL 1890 945 950 for our best classic bike insurance quotes and see why over 40,000 customers in Ireland and the UK now trust us to insure their story. What's yours? 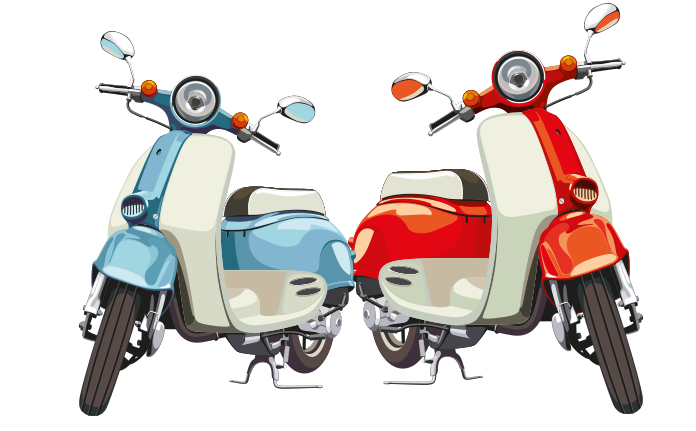 As well as our motorbike policies, we can also arrange policies specifically designed to cover classic bikes. Our friendly and knowledgeable staff are here to guide you through the entire process of insuring your classic motorcycle to make sure that you have the best cover we can offer. Our classic bike insurance policies take into account that your classic motorcycle is unlike other bikes. We know, for example, that most classic bikes are well maintained and with low mileage. Our staff will be with you every step of the way. They’ll make sure that you can easily amend your policy by contacting us. We’ll also be on hand should you ever have to make a claim. So make sure that your classic bike is protected by taking out a classic bike insurance policy out through Principal Insurance. Call us now on 1890 945 950. Agreed value – free valuation service to ensure you’re fully and fairly covered. European touring – journey and rally abroad with our inclusive cover.